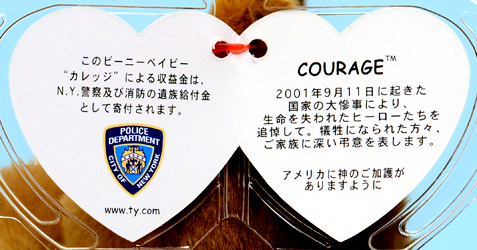 This version of Courage with a U.S. flag on the left leg was available in the USA with English writing inside the swing tag, and in Japan with Japanese writing inside the swing tag. 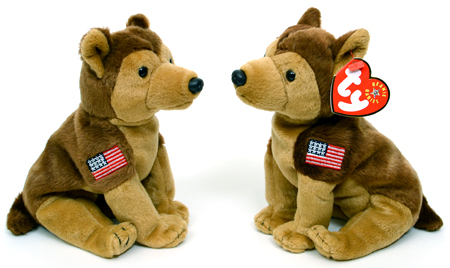 There is also a USA version of Courage with a flag on the right leg, with English writing inside the swing tag; and in Japan with Japanese writing inside the swing tag. 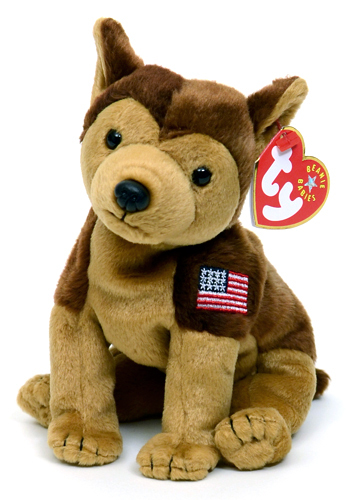 The Ty store exclusive version of Courage had its flag on the right leg. The tush tag also included the letters NYPD in the name. 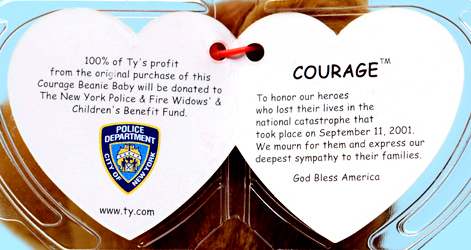 The Rescue and Courage Beanie Babies raised over $1 million for the New York Police & Fire Widows' & Children's Benefit Fund in the first six months.